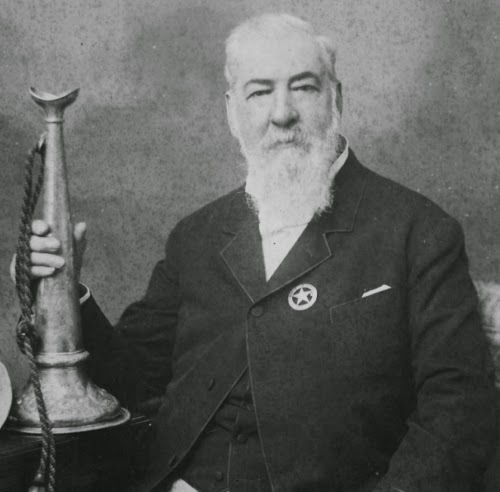 The St. Louis Cardinals won the expanded Chub Feeney by five games over the Dodgers and the Cincinnati Reds, who had won the first three Feeney titles. The Cardinals clinched victory at the very end, when the beat the Dodgers in a six-game National League Championship Series. The St. Louis Cardinals took full advantage of the new order in the Chub Feeney League, winning the loop by a comfortable five games over the Dodgers and the three-time defending champion Cincinnati Reds. 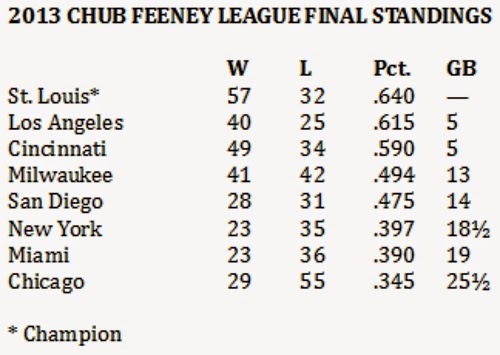 In fact, the Cardinals, Dodgers and Reds were the only clubs to break even or better in the expanded Feeney League. Among the newcomers, the best was the Milwaukee Brewers, who finished 41-42, 13 games out of first place. The Dodgers had a chance to win it in the National League playoffs, as they faced the Cardinals during the championship round. Entering those playoff games, the Cardinals were 53-30 and the Dodgers were 38-21, so the Cardinals held a three-game lead. If the Dodgers had swept that series, they would have won the Feeney, and they would have tied the Cardinals for the Feeney if they had won the series in five games. Instead, the Cardinals won it in six, padding their cushion over the Dodgers in the end.